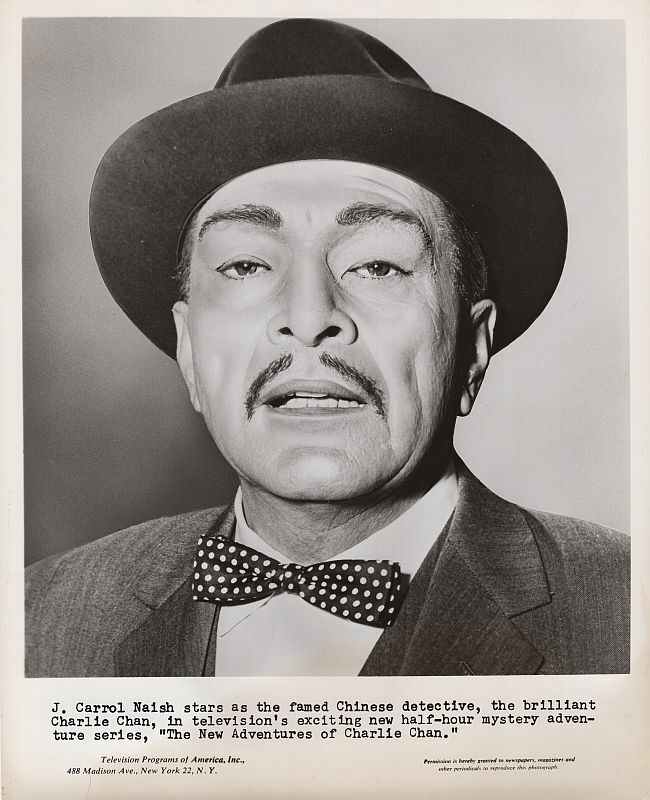 J. Carroll Naish as Charlie Chan. 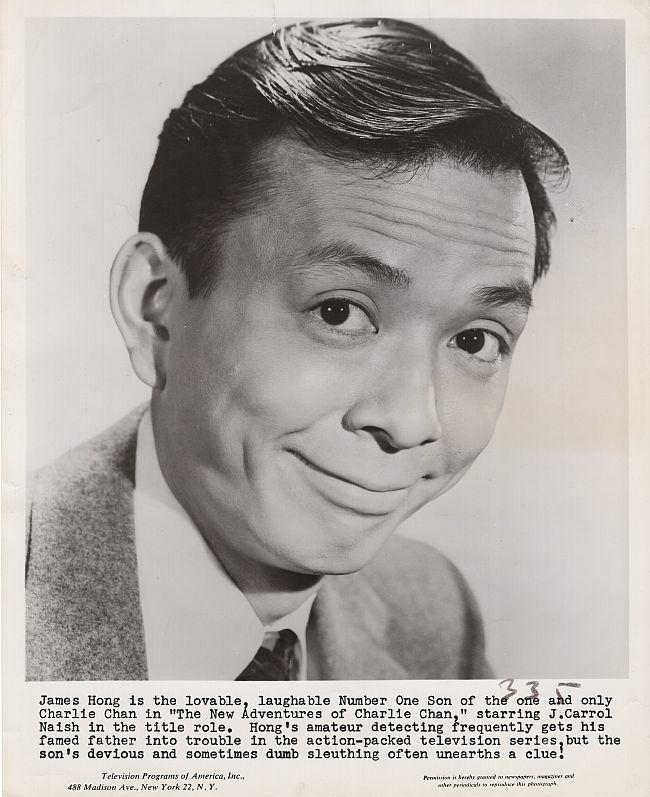 James Hong as Number One Son, Barry. 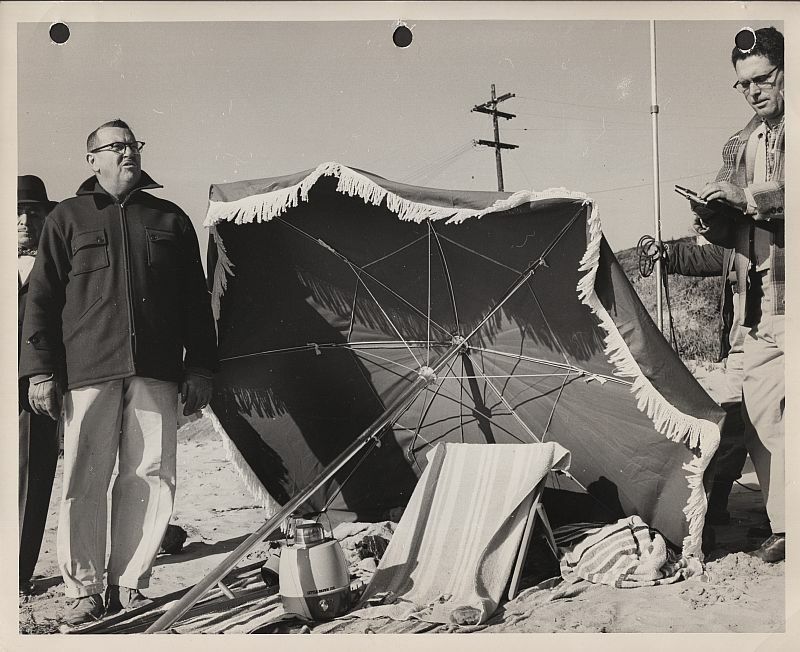 Preparation for the shooting of a beach scene from The Secret of the Sea. Charlie Chan is surprised by four young ladies! 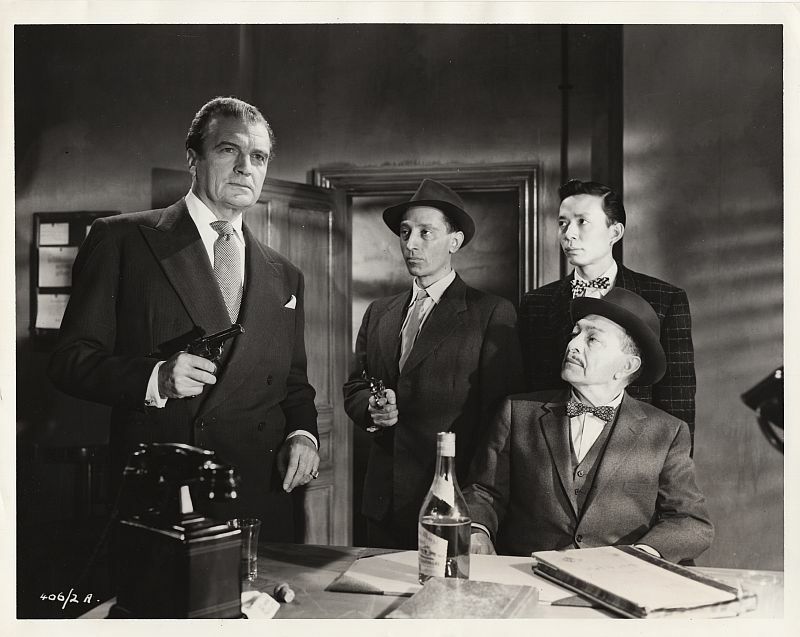 Charlie Chan and Number One son, Barry in a scene from The Counterfeiters. 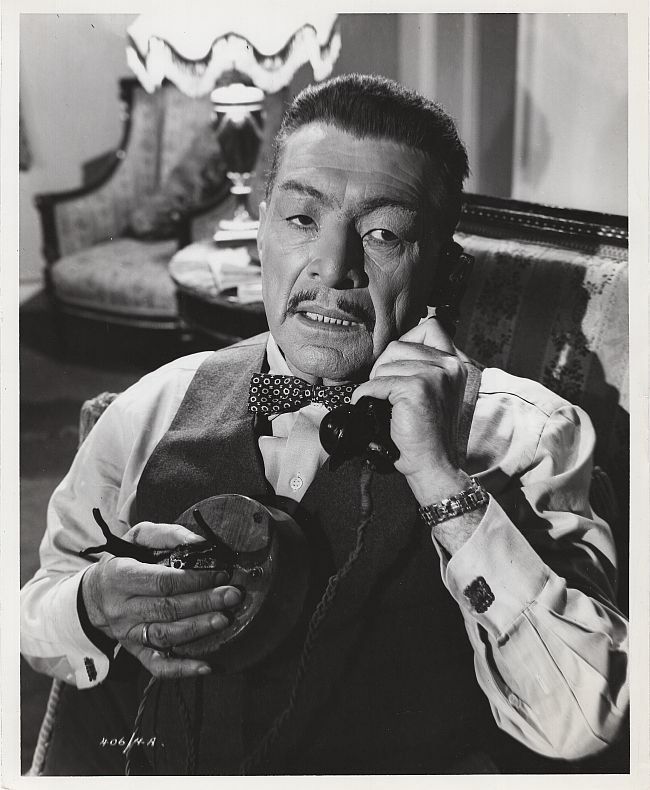 Charlie Chan makes a phone call in The Counterfeiters. 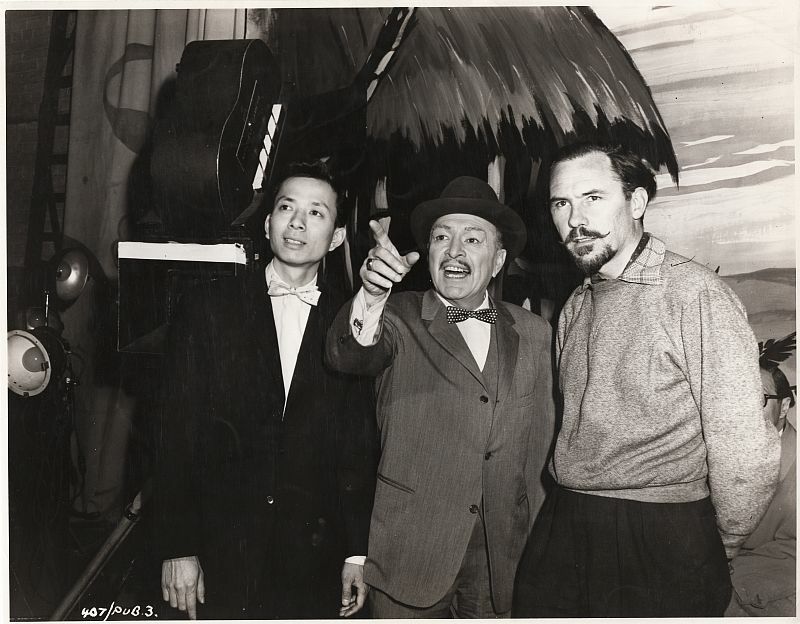 James Hong, J. Carroll Naish, and director, Don Chaffey, on the set of Death of a Don. 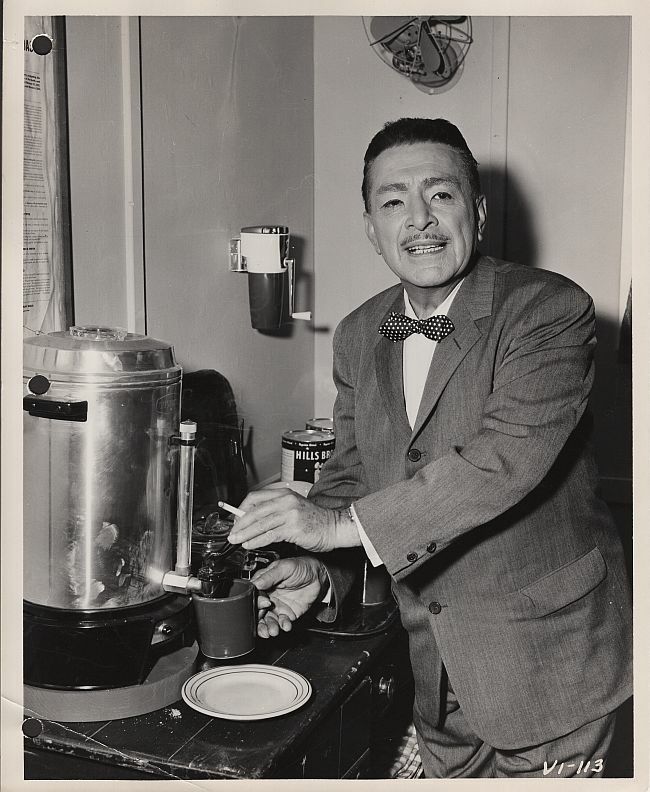 J. Carroll Naish takes a coffee break between scenes while shooting Secret of the Sea. 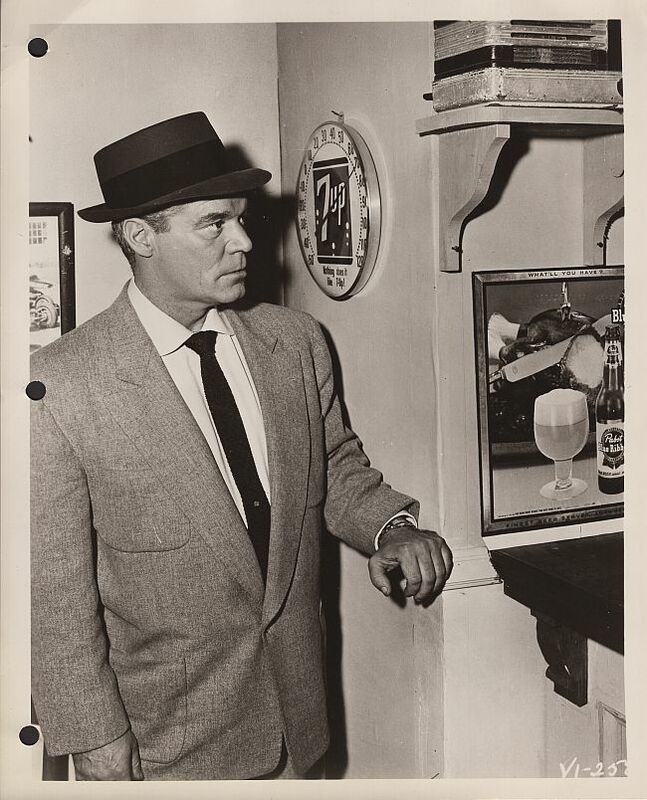 Lt. Stutz of the Los Angeles Police Department, Valley Division, visits Willie Broward's cafe in The Lost Face. 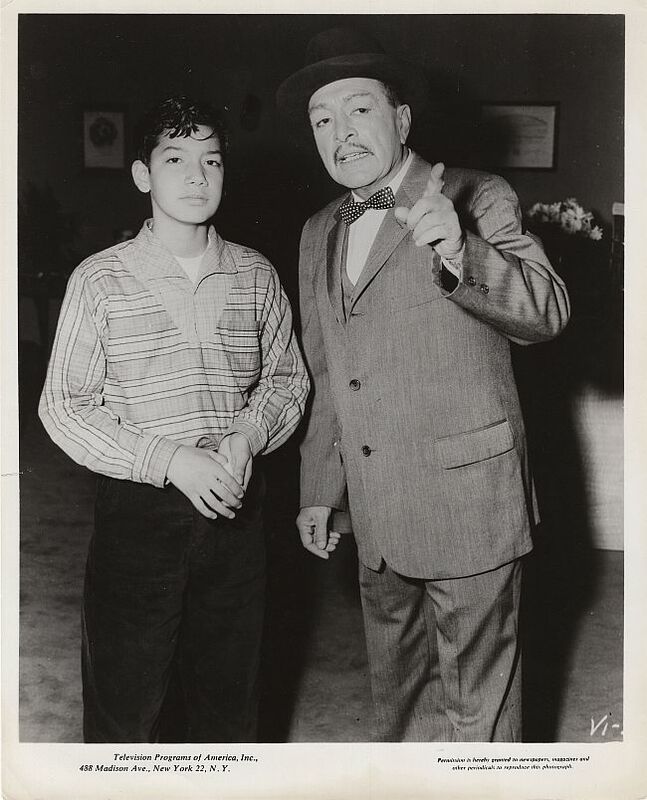 J. Carroll Naish as Charlie Chan with a young actor.